Used H.N. 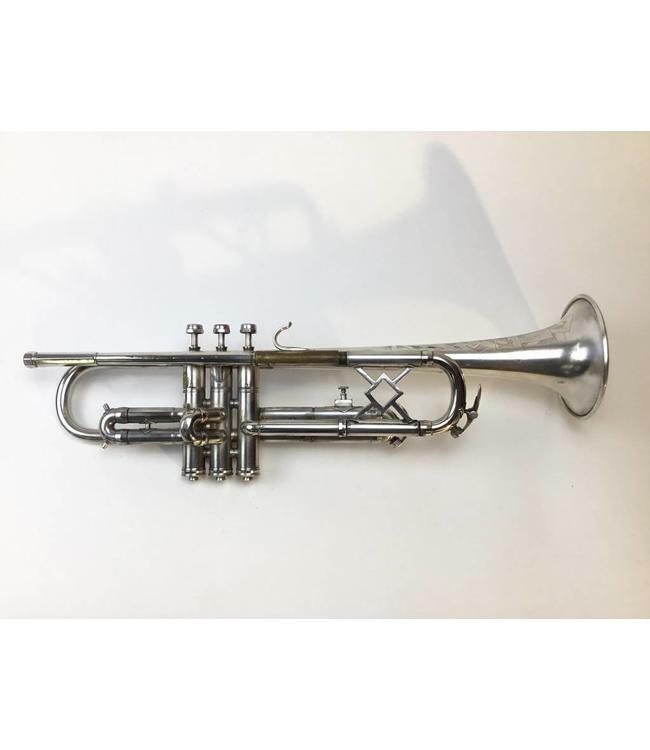 White King Liberty model, Artist Bore, Bb trumpet in silver plate. Instrument in good condition with metal wear at contact points, dings and surface scratching throughout and low valve compression. Includes case.